We offer restaurant equipment repair service seven days a week. 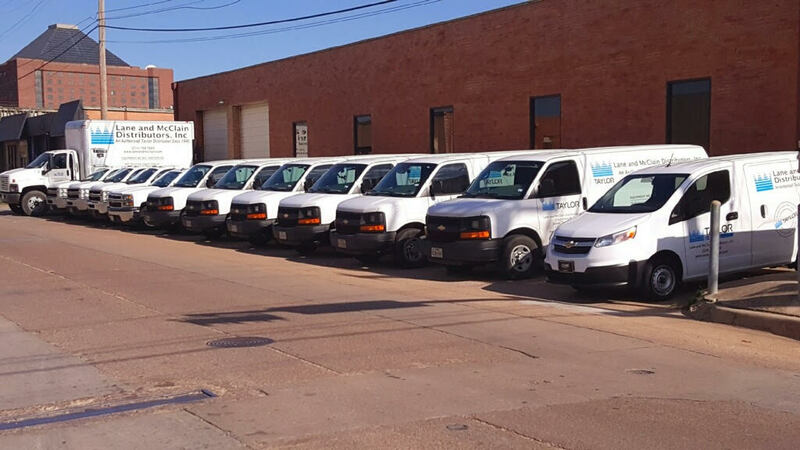 In addition to our main Dallas office and El Paso branch office, we have satellite technicians conveniently located in both the Lubbock and Tyler areas. We offer complete delivery, installation, start-up and training (when included with the purchase of every Taylor machine). All our Taylor service technicians are Taylor factory trained and certified. On-going food service equipment repair training at the Taylor factory is conducted throughout the year to keep skills up to date. Our Taylor technicians are dedicated professionals, on-call to assist over the phone or after hours when necessary. We also provide free telephone trouble shooting for your Taylor freezers, ISA gelato cases, Flavor Burst systems, and Cornelius ice machine and dispensers. To experience quality service please call our Dallas office at (214) 748-7669, or if you are located in the El Paso area, please contact our El Paso branch at (915) 843-4600. The food service equipment preventative maintenance schedule on soft serve and shake freezers requires all rubber seals and necessary bearings to be replaced every three months. These components come in a convenient tune-up kit that can be purchased through the parts department. By replacing these wear items you will establish the Preventative Maintenance Program. By replacing the items subjected to normal daily wear on a scheduled basis you can prevent costly maintenance charges and the cost of more expensive spare parts charges on your commercial food service and restaurant equipment. For example, damaged rubber seals can cause damage to the beater motor, compressor, and any other expensive electrical components. The cost of the damaged component combined with the service charge for component installation is what can multiply the expected yearly maintenance cost. The problem is then compounded by a poor yield due to product loss, freezer down time, and loss of sales. The required replacement of the freezing cylinder scraper blades is included in the Preventative Maintenance Program. The suggested replacement schedule for metal scrapers blades is every six months (four months for plastic blades), Using scraper blades beyond their expected life will cause excessive running time of the freezer. The adverse effect caused by increasing the running time is often recognized by poor product quality, low yield, decreased capacity, and increased utility cost. To sign up for this cost-effective program, please click this link Preventative Maintenance Program or contact the parts department at either our Dallas or El Paso Branch offices today!" 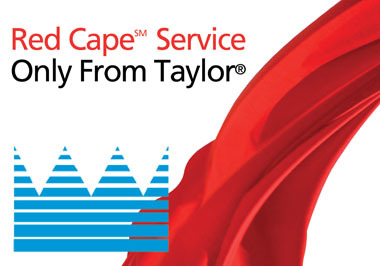 Red Cape Service is a level of dedication and a promise to our customers to deliver exceptional service. We are committed to providing important market trends that drive customer traffic, deliver reliable and efficient equipment and valuable local service and support throughout the life of the product to assure you remain profitable.